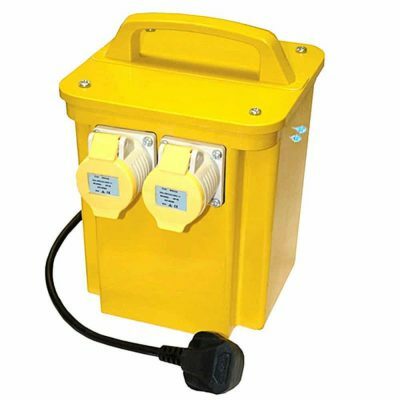 Site transformers are used to convert standard 240v power supplies down to the recognised safer 110v. This voltage is recognised throughout the UK as a safer power supply for power tools, grinders vacuums, lighting etc.when being operated on site. 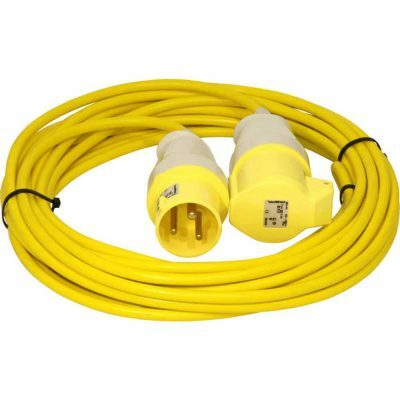 The two most popular sizes are 3KVA, 16A and 5KVA, 32A. Typically the 3KVA transformer has two 16A power outlets while the 5KVA transformer has two 16A power outlets and one 32A power outlet. Other combinations are available. 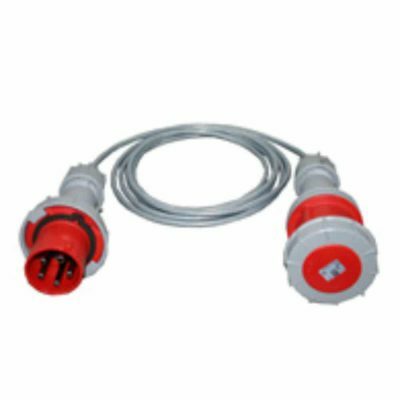 Both of these types of transformer are easily transportable and are fully protected against over load, the enclosure is resistant to shock and impact. Both types have carry handles for convenience. 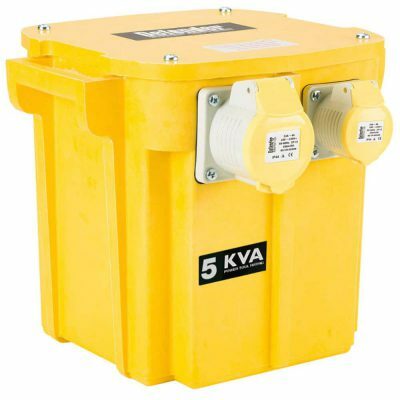 Larger 10KVA site transformers are available to order as are 110v transformers designed to operate from a three phase supply.